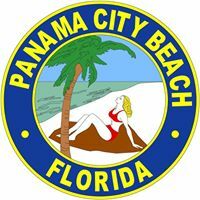 Officials in Panama City Beach, Fla., relied on AT&T FirstNet for communications in the wake of Hurricane Michael, which caused outages in the jurisdiction’s broadband and LMR systems, according to City Manager Mario Gisbert. “The day after the storm, we found out that we had basically no phone service through the current carrier that we have, which is Verizon,” Gisbert said during an interview with IWCE’s Urgent Communications. “Having that knowledge, we found out that AT&T phones were functional, because my mayor and one of my council members both had AT&T phones. So, we quickly started to augment our system with AT&T burner phones, AT&T cards and AT&T phones. Panama City Beach was not an AT&T or FirstNet customer when Hurricane Michael hit the Florida panhandle city during middle of the day on Wednesday, Oct. 10, Gisbert said. Although Panama City Beach “was really spared the brunt of the storm,” the city’s Verizon service continued to work that evening, but that changed quickly, he said. “When I woke up on Thursday morning, I had no Verizon service at my condo,” Gisbert said. “When I came to our office, we still had a working computer system, because we feed our office complex with [multiple service providers]—we have redundancy on top of redundancy. Further complicating matters was the fact that the aging Bay County land-mobile-radio (LMR) system—one that is scheduled to be replaced next year—also was unavailable when a tower on the Motorola Solutions system failed, Gisbert said. “Once we lost that Motorola tower, we lost all of that,” he said. “I had a police chief that could not talk to the sheriff. Other city efforts to coordinate a response also were undermined by the lack of communications, Gisbert said. Things began to get better when Gisbert learned that the mayor and a council member still had cellular service through AT&T. In addition, he received a text from a local Walmart employee who was using a “burner” AT&T phone being sold in the store. Gisbert quickly asked whether he could get similar devices for his staff. “Friday morning, I had 10 phones, which I distributed to all of my department heads, so I could communicate internally,” he said. Even with these phones, things were far from ideal, Gisbert said. Gisbert said the real turning point came on Saturday, when a city official was able to contact someone at the AT&T store in Destin. Gisbert sad the events after Hurricane Michael have officials reconsidering the city’s communications provider. Yesterday, a representatives of AT&T FirstNet made a presentation to the Panama City Beach City Council. The council took no action during the meeting, but Mayor Mike Thomas said the city will initiate “a process to make sure that this [type of outage] doesn’t happen to us again” if a similar disaster happens in the future. “I can tell you that I know that my police department is going to take some of the specifications that make FirstNet unique, and that will be part of the RFQ that goes out for phone service for them,” Gisbert said before the meeting. In fact, Gisbert said this episode has reinforced the notion that a comprehensive disaster-response effort requires coordination between much more than traditional public safety and government. “[We need to communicate with] everything from the fish and wildlife [department] to the sheriff’s office to EOC, all of my departments, all of my police department, all of my fire department,” Gisbert said. “It’s not enough to just be able to deal with those. I had to deal with contractor to help get access to forklifts and heavy equipment, deal with real-estate agents to try to get rooms for first responders and had to deal with hoteliers. One example of this was getting the garbage hauled on a Sunday, which was important during the situation, Gisbert said. “On Saturday, after four days of having your refrigerator being turned off, I was about to have a dilemma on Sunday,” Gisbert said. But arranging such action without conventional communications required some unusual measures to be taken, Gisbert said. “The only way that I reached waste management was that literally my mayor knew where a representative of waste management lived; [the mayor] drove to his house and knocked on his door,” Gisbert said. “45 minutes later, [waste-management officials] were sitting in my office, and we were orchestrating how we were going to get household garbage picked up on a Sunday, because I knew that I had Friday’s and Saturday’s worth of refrigerators all in 96-gallon tubs that were going to be festering by Tuesday’s pickup, if it didn’t get picked up on Sunday.